Entries tagged with “Mississauga Housing Market”. The basis of real estate is that a home is worth what a buyer is willing to pay. Six months ago the word was out from various economic experts that Toronto home prices, Mississauga home prices, Oakville home prices and almost every other area in the GTA were going to decline between 10% to 30% in the upcoming year. In December those figures were revised to reflect a more modest drop of 5% – 10% in the first half of 2012. 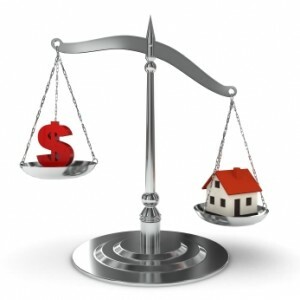 March reports indicate that the GTA market is overvalued and that some economists expect a correction of 20-25%. Seems to be a lot of confusion as to what the future holds. I have never had an explanation of how one calculates that a home is overvalued. The basis of real estate is that a home is worth what a buyer is willing to pay. Now recently in Toronto a small bungalow was listed for $950,000 and sold for $400,000 over the list price. The sale was the talk of the neighbourhood and at first when I heard the news from my mother in law who lives in the neighbourhood I thought she must be mistaken. The news that night reported the sale exactly as had been reported by the neighbourhood grape vine. Turns out the home was purchased by Chinese immigrants. The news report on this sale went further to explain that the purchases by immigrating Chinese are on the rise as they find Toronto home prices, Oakville home prices and Mississauga homes prices to be a good deal. In the context of “a home is worth what a buyer is willing to pay”, in China that $950,000 home would be somewhere around $7 million U.S. dollars. Obviously then to someone from China that small bungalow is a real deal at $1,250,000. We are living in the best country in the world and in one of the best cities in the world. In comparison to other world class cities property in the GTA is still very reasonable. Let’s look at the market itself. New listing activity is very tight. Although there seems to be a slight increase in the amount of homes coming on the market, the number of buyers entering the market continues to surpass the number of new listings. This has been the case quite regularly for the past year. Trying to find a home in Mississauga for a buyer is a full time job. Either the home is a wreck or there are 5 people wanting to put an offer in at the same time. Economically there seems to be some light at the end of the tunnel for the U.S. economy. Maybe it’s just a blip but in the long term that can only be a positive factor for the Canadian economy. When the economy is good there is always a positive impact on housing and the real estate market. It either puts upward pressure on the prices or keeps it stable. I never heard of prices of prices going down in a good economy. I suppose these economists who predict the decreases in home prices are using historical figures and very complicated formulas to determine where real estate prices are going to go. I guess I view that process like the providing a weather forecast. This winter was to be unusually cold and stormy weather. For some parts of the country that meant a frigid climate; while for others, it’s lots of rain and snow. It was to be a winter of “clime and punishment” with cold to very cold temperatures. Winter really never arrived and neither will those decreases. Looking to buy or sell your home in Mississauga, Oakville, Toronto area? 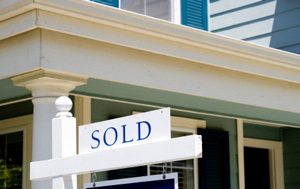 Don’t hesitate to contact the best Mississauga Real Estate Agent Cynthia Shaw.